Come join us at the Cornwall Public Library in Toronto between October 20 – 27 as we explore everything it means to be a writer, from career writing to freelance writing to song writing to writing for children and more besides. Especially join us at 11am on Saturday, October 26 when KWL’s own Jodi White will give a talk on “eBooks and Kobo” – come find out what exists in digital publishing and what authors can do to help increase their visibility and sales in Kobo’s digital platform. Registration is required, but registration is now open for this and any of the other fantastic talks. Check out the full program here. Some have limited seating so hurry and get your name in quickly. 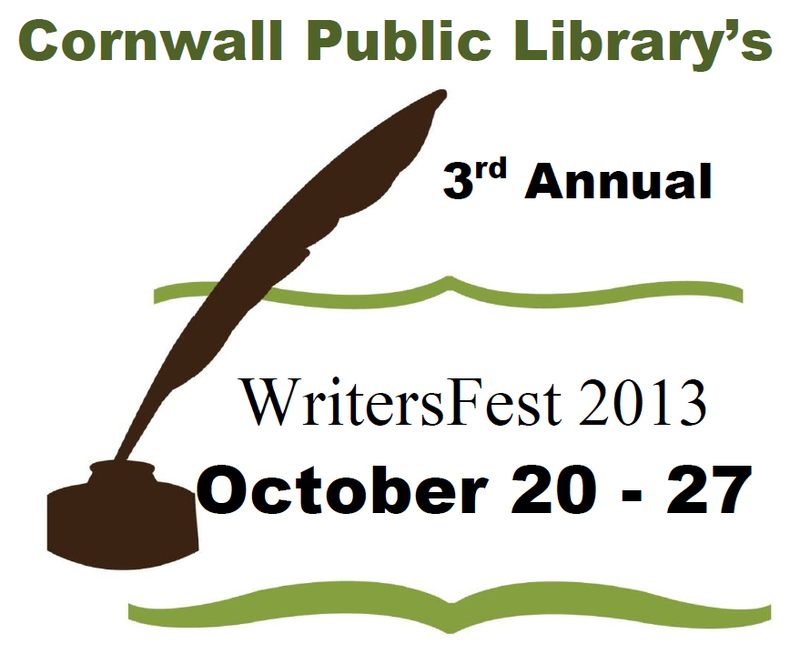 Register in person at the Cornwall Public Library or by phone at 613-932-4796.